Few people visit their country’s prison institutions, and fewer still are forced to live in one of them for a time; but those who do know that the dark world hidden by tall walls and stern men with guns is full of human tragedy and despair. People who are basically good are forced to pass many years of their lives with others who are malevolent. Crime and violence are increasing steadily in both so-called “developed” and “undeveloped” countries, despite tougher laws and increased spending on police. Capital punishment has recently been reintroduced in the United States and the Philippines, and the new “three strikes and you’re out” law means that a U.S. criminal who has been convicted of a felony for the third time will be sentenced to life imprisonment without chance of parole. Yet none of these draconian measures is decreasing the incidence of crime or violence. The founder of PROUT, Shrii P. R. Sarkar, has written in his article “Justice” in Human Society, part I that there are fives types of criminals. The first type is criminal by instinct. This includes those men and women who, due to heredity, have an abnormal mentality. Some are dull-witted and unable to comprehend the difference between good and bad and commit acts of sin and crime on their own or at the instance of others. Other born criminals are still more dangerous, reveling in the display of cruelty and believing that compassion and remorse are only signs of weakness. The second type is criminal by habit. When the moral fabric of society breaks down, and when the enforcement of laws becomes extremely lax, the normal fear of the legal consequences of crime disappears and otherwise ordinary people choose to fulfill their passions through crime. The third type is criminal by environment. Otherwise honest people break the law because of lack of education and the influence of criminal gangs. Alcohol and drug addictions cause many people to get into debt and then to commit crimes to support their habits. The only way to reform them is to cure them of their addictions. The fourth type is criminal by necessity. Some poor people turn to crime because the minimum necessities of life are not guaranteed. In this case, the only remedy is to lead the people in social change to overthrow the exploitation that denies them even the means to live. The last type is criminal by snap volition. Serious crimes are sometimes committed in moments of passion. Due to intoxication, jealousy, an insult, clash over property, etc., a weak-minded person may suddenly commit a felony, or in coolness born in snap volition, plan for months to get revenge. P.R. Sarkar insists that judicial systems must be corrective, not penal. 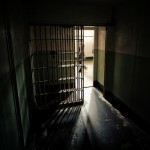 “The divine system (the law of cause and effect) that controls every pulsation of human existence alone has the right to penalize humans, and no other.” While society has an obligation to protect itself from anti-social elements, the purpose of its correctional institutions must be to reform, not punish. So how would a Proutist correctional institution look? Just as doctors quarantine an infectious patient to prevent the spread of the disease to others, it is necessary to segregate criminals from human contact. The person in charge of the institution should be a psychologist and teacher with high moral character who feels for the well being of society. P.R. Sarkar then states that they must be assisted by physicians who through medical treatment and surgery correct functional disorders which are responsible for some criminal behavior. Finally, sociologists must arrange for their social rehabilitation. Most if not all sentences should be indeterminate, meaning that prisoners would be released only when their behavior demonstrates that they have been cured of their anti-social tendencies. At this point, I wish to offer some personal suggestions as to the design of a Proutist correctional institution. In addition to the psychologist, doctor and sociologist that Sarkar indicated are essential, it is obvious that the rest of the staff must also be benevolent-minded. Once I discussed this with one of three members of Ananda Marga who were unjustly imprisoned in Australia for seven and a half years for a crime they did not commit. He pointed out from his experience that even the most modern and progressively designed prisons are only as good as their guards. If the guards are petty and invective, creating unnecessary rules and punishing slight infractions with loss of privileges, they will make life hell for prisoners. I recall my own experience as a psychological counselor on the locked psychiatric ward of a large public hospital in New Orleans many years ago. While the avowed purpose of the institution was diagnostic and therapeutic, not penal, there was much too much concern for the control and order of the patients among the nursing staff; comparisons with a prison were constant. When the shift changed, the departing nurses would say to the new arrivals, “May you have an uneventful shift”. Clearly most psychiatric nurses, like most prison guards, are concerned less with therapy and rehabilitation than with drawing their pay for as little inconvenience and labor as possible. Education is a key to personal transformation, so the institution should encourage every inmate to further their education through classes or correspondence courses. In his autobiography, Long Walk to Freedom, Nelson Mandela related how he and his fellow political prisoners on notorious Robbin Island eventually earned the place the nickname, “The University”. They did this through their constant struggle for study privileges and correspondence courses; they even held small classes and tutorials in groups while doing hard labor in the limestone quarry. A senior teacher of Ananda Marga was imprisoned for six months in a small town in India when the government learned that he wanted to enter the country from Nepal to see his spiritual master, P.R. Sarkar. This teacher, who holds a doctorate, took the trouble to give daily classes to fellow prisoners who wanted to learn English or spiritual philosophy. He even taught some illiterate men how to read and write. Education is a never-ending process of self-improvement that instills self-respect. Every prisoner should be continuously urged and assisted to learn at his or her own level. Nature has a very therapeutic effect on the mind, so within the high walls of every institution large gardens should be created. P.R. Sarkar once said that seeing the green of nature is a cure for eye diseases. Animals and pets should also be added to foster compassion. An essential therapy for those with any type of mental illness is to be kept active in meaningful work, so garden work should be part of every inmate’s daily routine. All types of sports and games should also be organized to build physical health and fitness. It is important that a nutritious balanced vegetarian diet be served to everyone. One reason for the surprisingly low level of violence in Indian prisons, despite the severe overcrowding, is that almost no meat, fish or eggs are fed prisoners due to budget restrictions and cultural tradition. Smoking should also be banned as it is in Korean prisons. Music has the capacity to raise one’s consciousness. Elevating classical and spiritual music should be played regularly on the prison sound system. Repeated studies have demonstrated that violent television shows and films increase aggressive and violent behavior in their viewers. For society to stop gross exploitation by the media, as PROUT advocates, society will have to control and channel the profit motivation in other directions and encourage the media’s educative and uplifting potential. By controlling the environment, imposing a disciplined routine, and preventing negative and distracting influences, life inside a corrective institution can become ideal for reflection, deep thought, and meditation. As William Blake pointed out, the human mind can make a hell of a heaven, or a heaven of a hell. Some of humanity’s greatest writers and thinkers, including P.R. Sarkar, evolved their philosophy during periods of unjust imprisonment.